WhatWatt will help you to quickly find out how much electricity versus money is consumed by a particular electrical device per certain period of time. Ar WhatWatt Tu varēsi ātri un ērti uzzināt, cik izmaksā kādas elektroierīces darbošanās noteiktu laiku. A bedside clock that keeps you in the dark—except when you want to know the time. The clock display disappears after an adjustable time interval, letting you (and the device) rest peacefully. 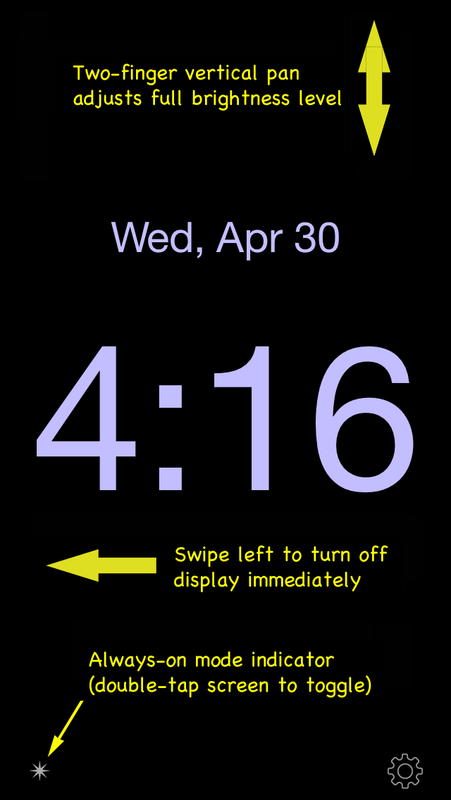 Touch the screen to check the time, which will again disappear after the adjustable interval. On iPhones in portrait orientation, you don’t have to touch the screen to see the time. Simply hold your hand in front of the screen to activate the iPhone’s proximity detector and the time display! Optional brightness dimming is also provided, which lowers the screen’s backlight brightness once the clock has disappeared to produce an even darker display and lower power consumption. Take back control of your data usage. It’s time to stop paying overages. # Monitor Mobile Data and Wi-Fi in real time. # Predictive forecast tells when you will go over and sets daily quotas. # Simple and intuitive design reflects current usage status. # Works with any carrier, any plan, and any billing cycle. # Theme colors will change to reflect your current usage status.